The Friday the 13th franchise is one of my favorite things in the world, and since the Film Appreciation series and Life Between Frames itself started off at the beginning of 2011 with my article on Jason Lives: Friday the 13th Part VI, I thought it would be fitting to start 2012 with another Friday the 13th article. After giving each F13 some fair consideration, I decided to go with Part III. I've written about III on the blog before, during the Dollar Bin Horror challenge when I listed it as my favorite slasher movie. That it is, and I'll cover some of the same ground that I did in that write-up, but will expand on it a bit. After a recap of the ending of part 2 and a title sequence scored with a groovy disco dance remix of Harry Manfredini's Friday the 13th theme, part III starts with an extended sequence set at a small country market, where Jason shows up to stalk and slash the owners, who live in another part of the building. 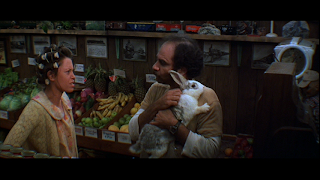 As run by the rabbit-tending Harold and his nagging wife Edna, this market doesn't seem to be the best place to shop at, because odds are that Harold has taken swigs from the beverages and samples from the food. He'll even give pet food a try. 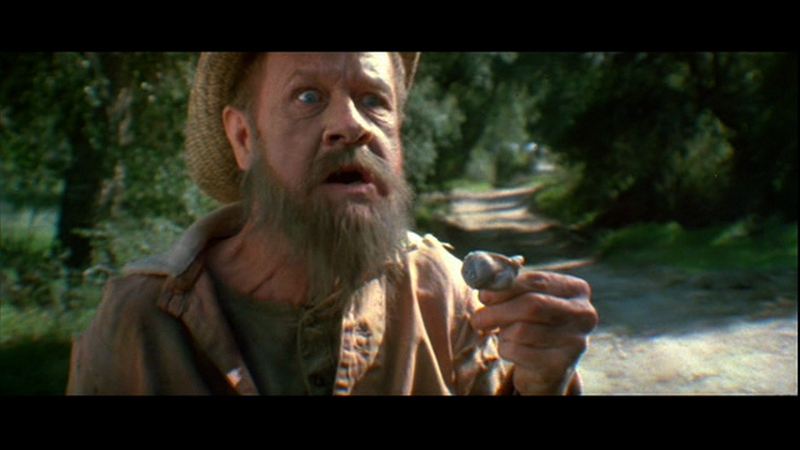 The set design adds a character element to make it appear that Harold is also a massive railroad enthusiast. "Watch out for the locomotive" sign in his backyard, a train set in the store, pictures of trains and tracks on the walls, a small crossing sign by the register, a train car in the fish bowl with his fish Lionel. Harold and Edna are very entertaining to watch, with the late Steve Susskind giving a particularly fun performance. Unfortunately for Harold and Edna, their store is located not far from Crystal Lake and the counselor training camp that Jason terrorized in part 2. It's the day after part 2 (so setting the films on the titular date is already not an issue) and Jason has picked himself up off the floor after the ending of that film and wandered off into the woods looking for new sanctuary... And a change of clothes. The laundry Edna had hanging out to dry comes in handy. When we catch a glimpse of Jason walking among the laundry hanging off the clothesline, he's still wearing his plaid shirt and overalls from part 2. The clothes he scores from Harold established a look that Jason would keep for the next several films. Our heroine is Chris Higgins, played by Dana Kimmell. I've always really liked Kimmell in this role. She's cute and likeable, and she handles herself well when things go bad. Again the set designers add an element to a character that I really like, as there are band stickers and pins all over Chris's Dodge Ram van. Apparently she's a big fan of Bruce Springsteen, The Rolling Stones, The Doors, The Grateful Dead, and my personal favorite, Led Zeppelin. Kimmell got a bad rap from fans for several years, as she was perceived to have gone on to be very against the film, with rumors that she had even morally objected to moments in the script during filming. She managed to clear things up a bit and get back into good graces when she participated in the audio commentary for the DVD and gave an interview for the Crystal Lake Memories book. According to her, the only script change she asked for was to drop a reference to Chris having a sexual history with Rick, the local guy she reunites with at Higgins Haven. Not a big deal, and Kimmell seems like a nice, friendly person. Part III is very faithful to established formula, so much so that the characters even meet a crazy old doomsayer on their way to the lake even though the town's doomsayer Crazy Ralph was killed in part 2, but there are also some tweaks here and there. One of the twists is Chris's backstory. She is clearly nervous to be returning to Higgins Haven after two years away, and we eventually learn that this is because, for the first time in the series, the heroine has previously encountered Jason. She ran off into the woods after an argument with her parents and was attacked by him. He dragged her off into the woods and she blacked out... And woke up in the morning in her own bed. She doesn't know what happened and her parents act like nothing ever did happen. It's a strange story that's purposely left ambiguous, we never do find out what went on while Chris was unconscious that night. 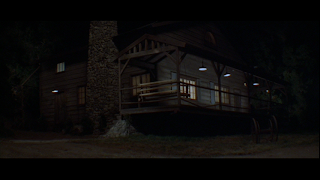 Another change is the setting, moving away from the camps of the previous two films to Higgins Haven, a nice horse ranch property that doesn't have any horses yet. While its predecessors were filmed in the northeast, part III was filmed in California, with Higgins Haven being the Valuzet Movie Ranch in Saugus. The barn is still standing today, but the house was accidentally burned down a few years ago by some teenagers who had broken in. It's a shame, because it was a really cool place that I would've liked to visit someday. It was a great location for the film. The friends Chris brought to Crystal Lake with her fit many of the usual slasher types while still being a likeable, fun, quirky bunch to spend some time with. As far as oversexed couples go, Debbie and Andy are rather levelheaded. Andy makes an impression just by the fact that he's always acting like he's performing in a talent show. He can yo-yo, he can juggle, he can walk on his hands. Debbie seems like a good, caring friend to Chris. There is an unusual aspect to Debbie in the fact that she mentions a couple times that she's pregnant. This is odd and rarely done in a slasher, because of course this character is also set to be murdered. When I watched this as a kid with my grandmother, she replied to my incredulous "She's pregnant?" by saying, "That's what she says," in a tone that implied that Debbie was lying, I guess to ease my mind. And this did put a seed of doubt in my mind for many years, "Eh, she's not really pregnant." But there's really no reason to question her word in the film. Debbie says she's pregnant, she is pregnant, Jason kills a pregnant girl. That's a pretty disturbing element. The father of this unborn child is also taken out, in one of the best kills in the series. 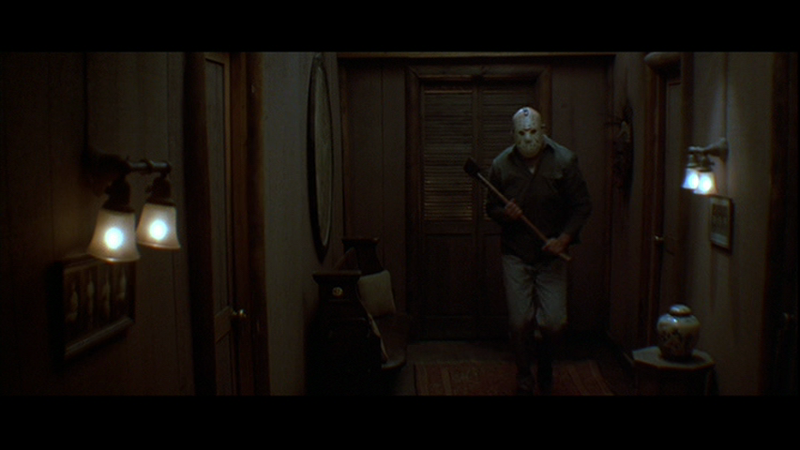 When Andy is walking on his hands down a hallway, Jason steps out in front of him and slams his machete right down into Andy's groin. I'm not quite sure how spaced out, humorous stoner couple Chuck and Chili ended up in this group, maybe Chris met them at one of the concerts she attended. Andy's roommate Shelly has also come along, with hopes of being hooked up with pretty single girl Vera, but he blows it by being a really annoying prankster dweeb. Still, Shelly does leave a mark on the franchise that lasts to this day. Trying to scare Vera after she (understandably) rejects his advances, Shelly pulls a mask from his bag of tricks. A hockey mask. Friday the 13th is my favorite horror franchise, and Part III specifically is my favorite slasher because this is the film in which all of the franchise's elements come together in the perfect mesh. 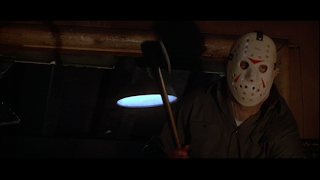 Jason Voorhees gets his hockey mask and it's undamaged and clean, his wardrobe is new. 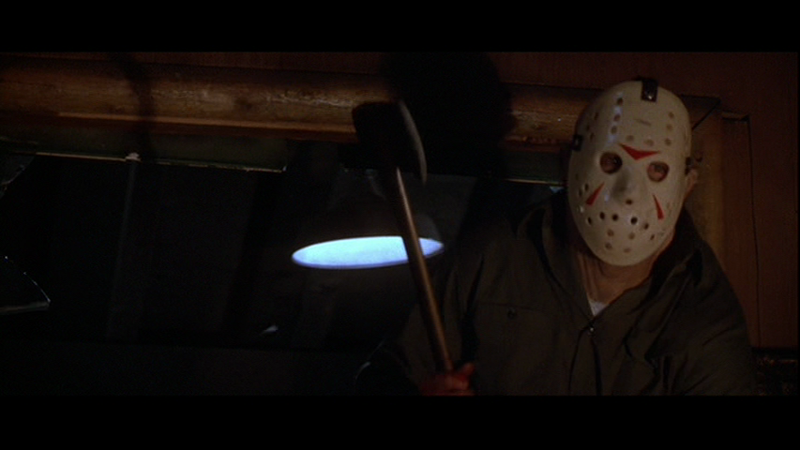 The look of Jason in the final 30 minutes of this film is the best I think he's ever looked. 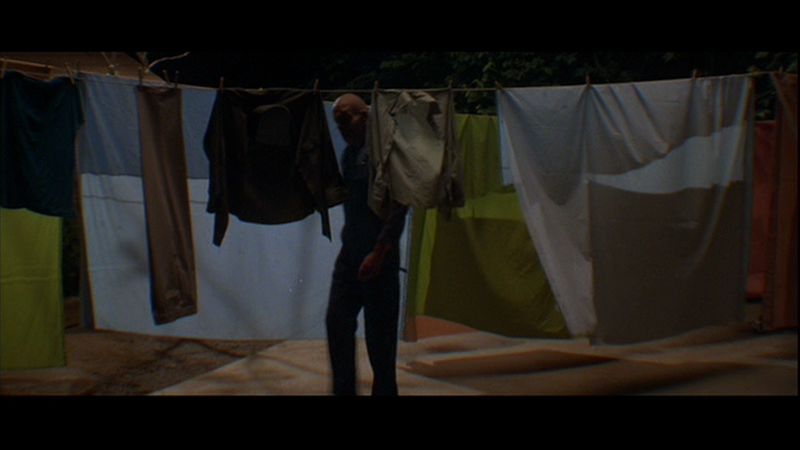 Under the mask is veteran trapeze artist Richard Brooker, who also gives one of the best Jason performances. The look and the performance combined, this is the perfect version of the character. I am awed by the look of Jason, he just looks so cool and badass. 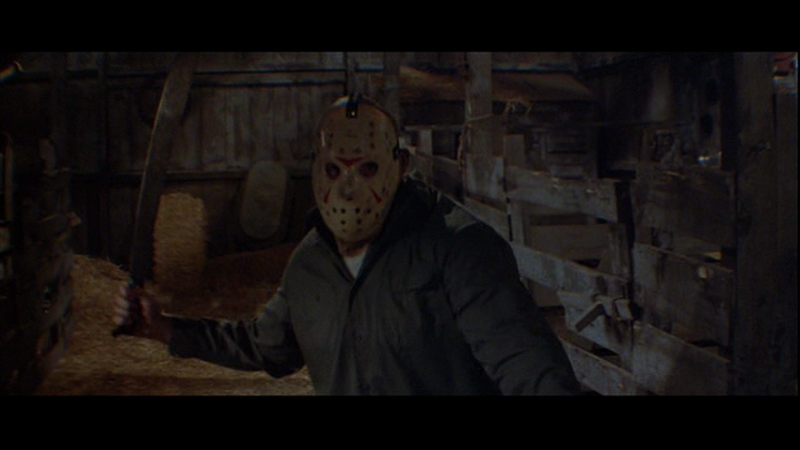 The stories of how the filmmakers ended up choosing a hockey mask for Jason are kind of scattered, but apparently it was something that was just stumbled into while testing looks. Crew member Martin Jay Sadoff provided effects artist Martin Becker with a Detroit Red Wings goalie mask, Becker repainted it, filled in holes and bored new ones, and made magic. I love the hockey mask and represent my fandom whenever I drive somewhere with my Jason Voorhees mask keychain. The kills in the film are all good. The aforementioned halving of Andy, a speargun fired into an eye, electrocution, pitchfork action, a head crushed in Jason's bare hands until the person's eyeball pops out, it's great stuff. And the filmmakers weren't content to just knock off the group of youths, a trio of bikers also get involved. The bikers first antagonize Shelly and Vera at a store. Shelly retaliates by driving over their motorcycles, so the bikers follow them back to Higgins Haven to get revenge. They siphon the gas out of Chris's van, their plan seems to be to use the gas to set the barn on fire... We know Jason's in that barn. The bikers' plans fall apart as soon as they enter it. It's a fun interlude that bumps the bodycount up higher than the previous two films'. So the film has the perfect Jason, a great location, likeable characters, fun situations, cool kills, a good heroine, and then it's all topped off by the best chase sequence in the entire series, with Jason (back when he ran) chasing Chris all around the Higgins Haven property. They go throughout the house, there's an escape through a second story window, the van is used, a rickety old bridge hinders things... 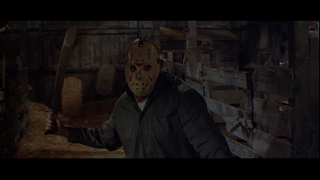 The chase lasts around 13 minutes, is full of confrontations as Chris fights her heart out to get away from Jason, and it all ends in that creepy old barn. 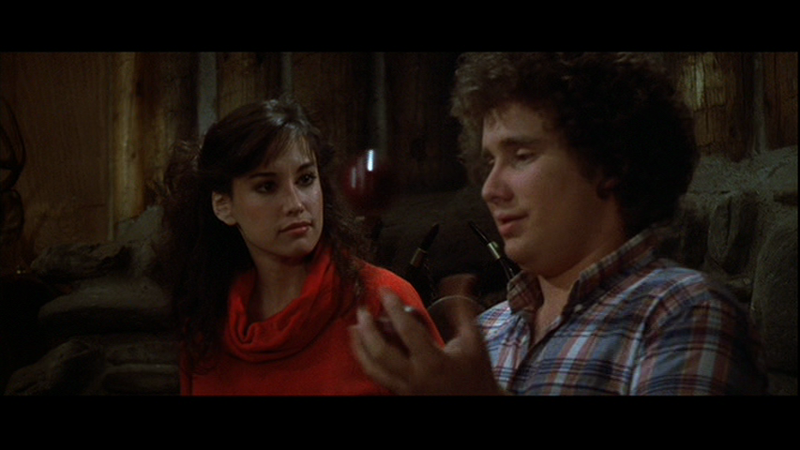 For all of the reasons above, Friday the 13th Part III is my favorite slasher movie. The screenplay was written by Martin Kitrosser and his wife Carol Watson. Kitrosser had been the script supervisor on the previous movies and has gone on to have that job on all of Quentin Tarantino's films. Uncredited rewrites were done by author Petru Popescu, who hadn't seen part 1 or 2, so he drew inspiration from a popular horror movie that he had seen: The Texas Chainsaw Massacre (1974). 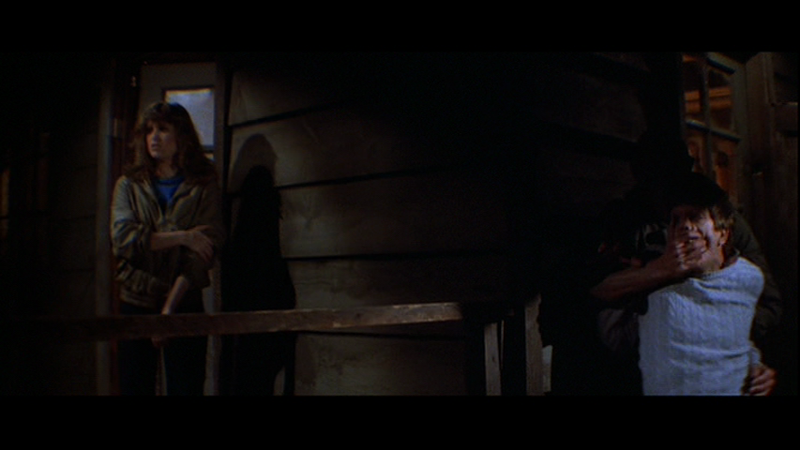 You can see some touches of TCM in the film, some of which may just be coincidences. 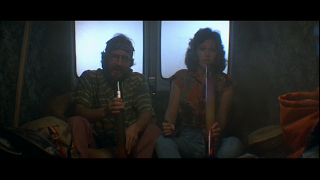 But there is a group of youths travelling in a van, the country setting, and - following a freaky dream sequence that did seriously unnerve (and confuse) me when I was younger - an ending where Chris acts in a similar way to how Sally Hardesty ended up in TCM '74. The film was well directed by Steve Miner, who had directed part 2, and probably the most famous element of the movie is the fact that it was filmed in 3-D. It wasn't the old red and blue style, it was closer to the modern 3-D but theatres require a certain kind of (silver) screen to show it on, which is why 3-D screenings of the film don't happen in many places these days. 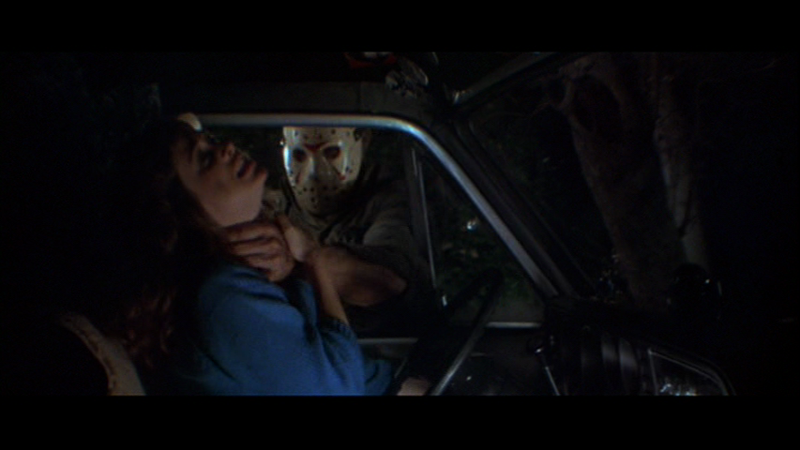 If there is a 3-D screening of F13 III near you, I highly recommend that you check it out. On home video you can see the remnants of the obvious effects, people sticking objects out into the screen, but this was also a 3-D that added a depth to the whole picture and when I finally got to see a 3-D screening at the Cedar Lee in Cleveland back in '08, I was very impressed. The 3-D was effective in more ways than one, as it also helped Part III become the most successful installment in the series until Freddy vs. Jason in 2003. 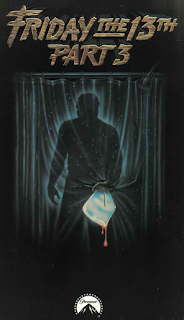 I've always liked the poster and VHS cover, the simple image of Jason's silhouette stabbing a machete through a shower curtain. I have a clear memory of seeing that VHS on the shelves at Harvey's Market, a little place tucked down a side street in a residential area. Harvey's was one of my main sources for video rentals when I was a kid, movies as well as cartoons like Thundercats and Teddy Ruxpin. Video boxes on wooden shelves, circular metal-rimmed tags on nails beneath the box. You would take that tag off the nail and bring it to the checkout counter, where the cashier would give you the VHS in a brown plastic box. Renting videos from Harvey's Market is one of my fondest memories now, unfortunately the building doesn't even exist anymore. 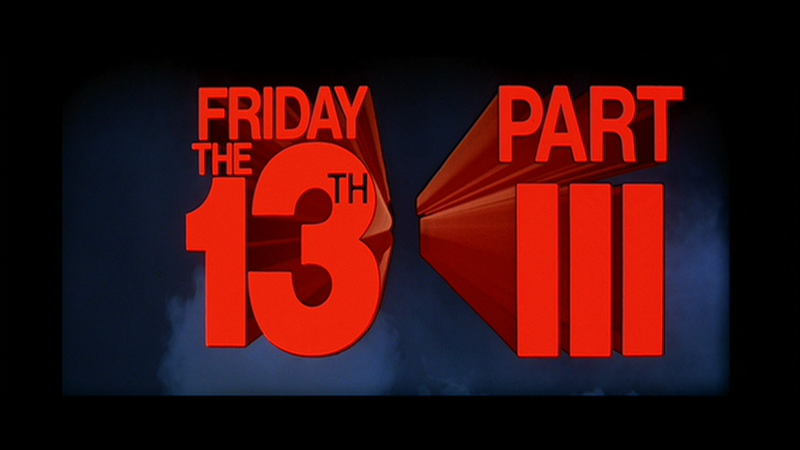 Unlike Jason Lives, I don't have a specific memory of my first viewing of Part III, but I do have many memories of watching it throughout my childhood. The regular viewings have continued over almost twenty-five years now. Friday the 13th Part III is nearing its 30th anniversary, on August 13th of this year. I'm sure I'll be watching the film again on that date to celebrate, and for many more years beyond. What a terrific overview of one of my favorite movies from one of my favorie series as well. There's something about Part III, isn't there? Not rude at all, thanks for reading and commenting. Great job Cody. It's not my favorite but it IS my second favorite. Come on Don, don't be a tease.